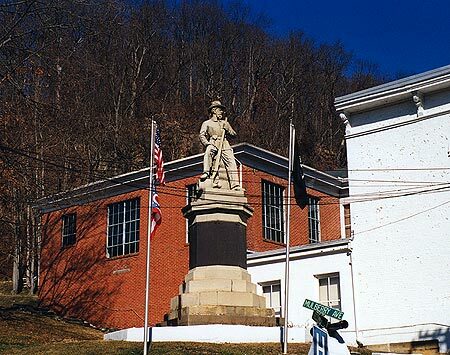 Statue of a Union soldier with rifle in hand seated on a stack of logs and looking off into the distance. It is mounted on a high stone base on a hillside beside the courthouse. 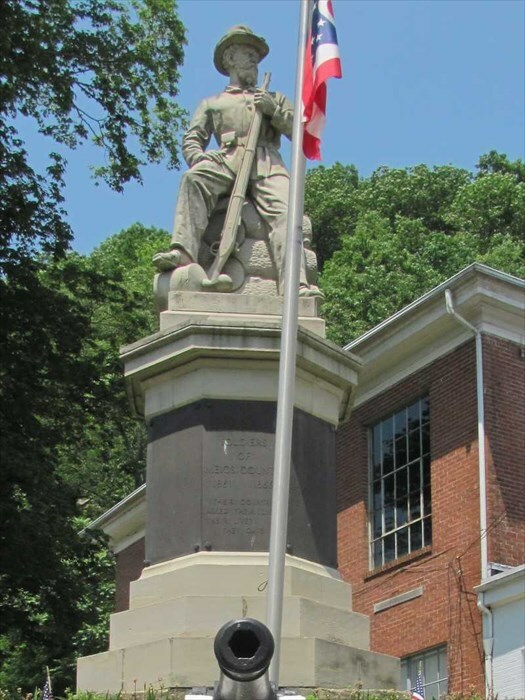 Around the base of the statue are eight bronze plaques, the one to the front reading: In Memory of the Soldiers of Meigs County, 1861-1866. Their Country Asked Their Lives, Their Lives They Gave. On the remaining seven panels are inscribed the names on the men and boys of Meigs County who gave their lives during the war. 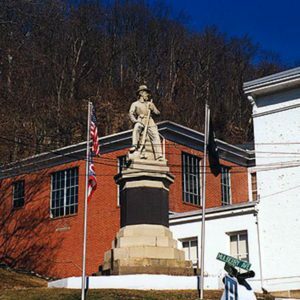 Location: Corner of 2nd st. and Mulberry Ave.
: T S Jones, “Civil War Soldiers' Monument,” Ohio Outdoor Sculpture Inventory, accessed April 20, 2019, http://oosi.sculpturecenter.org/items/show/1117. Corner of 2nd st. and Mulberry Ave.